BLOWOUT SALE. 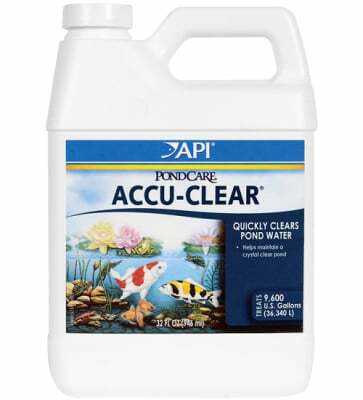 PondCare Accu-Clear quickly clears cloudy pond water by causing tiny suspended particles of dirt and debris to clump together, forming larger particles that fall to the bottom of the pond and are siphoned out or removed by the pond filter. 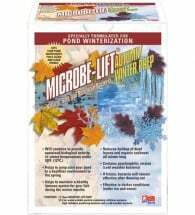 • Keeps ponds clear during peak summer months. • Quickly clears cloudy pond water. • Use in conjunction with Pond-Zyme Plus for a cleaner, clearer pond. 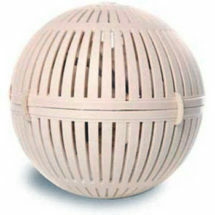 • Improves pond filter efficiency. 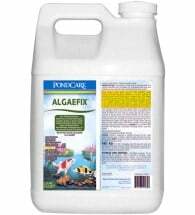 Add 1 tsp for every 50 gallons of pond water. Water will clear within several hours. 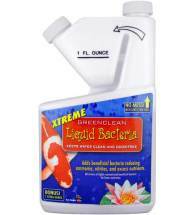 Can be used in ponds and water gardens containing koi, goldfish and aquatic plants.